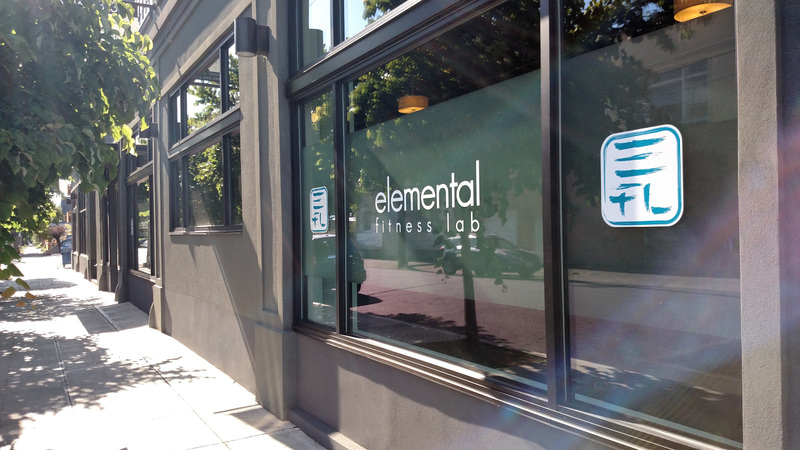 Settling into their new location in Eliot, Elemental Fitness Lab (EFL) is unlike any other gym in Portland focusing on high quality fitness and nutritional systems. Their goal is to have their clients leave the gym feeling better when they arrived and able to take on the week or an active weekend with confidence and safely and efficiently reach their fitness goals. Owner Chris Bathke, originally from the Midwest via Los Angeles made his way to Portland in 2010. He opened EFL in 2011 at the original location in Eliot but his new location on Martin Luther King Jr. Blvd at Hancock is a larger space with all the necessary equipment to work on fitness, sport performance, rehabilitation from an injury or just moving better. After a full assessment and functional movement screening, a program is written specifically for each client. EFL offers private, semi-private and small group training classes. Clients also have access to the gym between their classes or training sessions to work on their program independently at a time that works best for them. Bathke’s training method specializes in movement quality and health. He holds a Masters of Arts degree and is a Certified Strength and Conditioning Specialist with the National Strength and Conditioning Association. In addition he is pre and post-natal certified, and holds coaching certifications from Precision Nutrition, the International Kettlebell and Fitness Federation, and the blessings of Dr. Ed Thomas to teach his method of Indian Clubs. Using equipment like sand bags, traveling rings, Indian clubs, kettle bells and traditional free weights virtually any kind of fitness goal or issue can be addressed. EFL draws their clientele from various sources but many come from a local doctor. For the last four years, Chiropractic Physician, Dr. Phillip Snell, has been referring his patients to EFL because of their ability to segue clients from rehab to supervised training. Many of the EFL clients are physical therapists, chiropractors, Rolfers, and massage therapists so there is a natural network if another client needs a referral or just a bit of advice or a quick structural assessment opinion.